Water taxis are a popular way of transportation in the Virgin Islands. More comfortable and flexible than the ferries (don’t forget that we’re talking about islands here! ), the water taxis are an upgrade between the ferry and a helicopter. Convenient, time flexible and “adventurous,” larger groups (4 and more people) often find that the ferry is not the cheapest alternative. Water taxis also tend to be more reliable than the ferries (sad but true), so if you can’t afford to miss a ferry, the water taxi is something you just might want to keep as a back up. 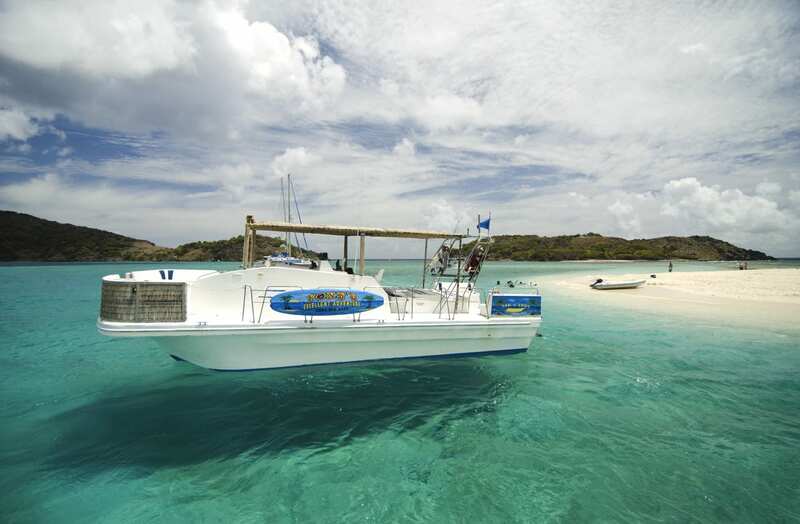 For a quick quote from St. Thomas to Tortola, see this VI water taxi site. There are the locations in the BVI with no ferry service. For locations like the famous Willy-T, a water taxi is more cost oriented alternative to chartering a boat. Which water taxi to choose? Generally, the BVI water taxi price is applicable for 4 passengers, expect to pay extra for each additional passenger. Note that you can expect BVI international processing fees of $35-40pp each way, fuel surcharges and taxes (with USVI providers, no tax in the BVI). Note that when traveling in either direction, customs are a mandatory stop and can incur further expenses. For example, when arriving from the USVI to Jost Van Dyke, you will need to stop in customs at Great Harbour. Similarly, you will need to stop in West End or Road Town on Tortola, or in St. Thomas Bay and Gun Creek in Virgin Gorda. If you are planning to go to a BVI destination different than the point of entry, you must use a BVI based water taxi provider (just fill out the form on the right). USVI based water taxis can’t take you past a point of entry.